The Magpul PMAG is an utterly reliable, tough and corrosion resistant glass reinforced polymer magazine suitable for all AR derived weapons such as the M-4 carbine and M-16 rifle. 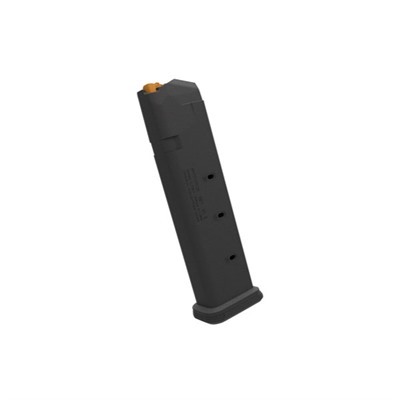 The body of 30 round Magpul pmags are continuously curved without weld spots and their stainless steel, protectively coated spring and self-lubricating, self-levelling anti-tilt followers provide flawless feeding, even when the magazine has been kept stored loaded for extended periods. It also prevents bolt over head and nose diving failures to feed. Feed lip deformation in long term fully loaded storage of the Magpul PMAG is further prevented by a snap on magazine cover which also keeps sand and dirt out for improved reliability. The use of a magazine notch rather than the traditional hole in PMAG magazines further excludes dirt and deep ribbing of the non slip surface provides the best possible grip. The easily removable floorplate of the PMAG aids cleaning and protrudes providing a ledge for easy removal of the magazine from its pouch. 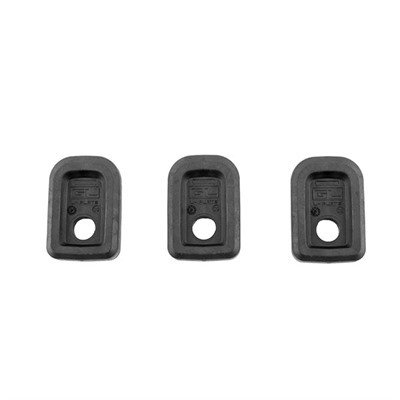 The straight walled 20 round Magpul PMAG AR-15 magazine makes for easier storage and retrieval of the rifle from confined spaces such as vehicle interiors and acts as a great support for target shooting. 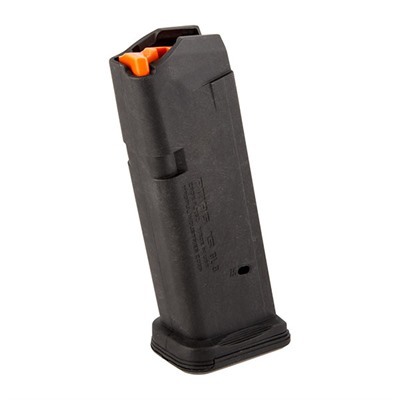 The curved 30 round Magpul PMAG is also available with the MagLEvel window on both sides of its body and a bright orange indicator to give instant verification of ammo level. 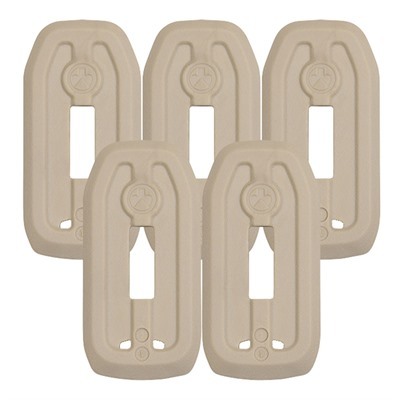 All Mapul PMAG AR mags are available in Black, Flat Dark Earth, O.D. Green, and Foliage Green. For European specification weapons that work best with magazines conforming to STANAG 4179, check out the new Magpul PMAG recently adopted by the British Army as its new standard magazine for the L85, L86 and AR series weapons. 1 0r 3X Magpul PMAGs with Range Plate installed. Full disclosure: If you purchase a Magpul PMAG from Brownells I will be paid a small commission. This will help keep this site online and will not affect the price you pay. This entry was posted in Magazines and tagged AR15, M16, M4, Remington 700. Bookmark the permalink.